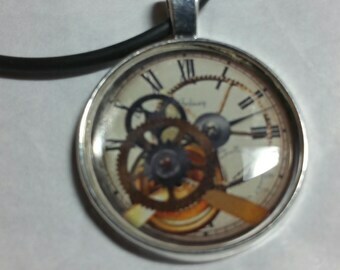 25mm (approximately 1 inch) glass dome Pendant with digitized image and Free Shipping in USA. Great Gift Idea for her. 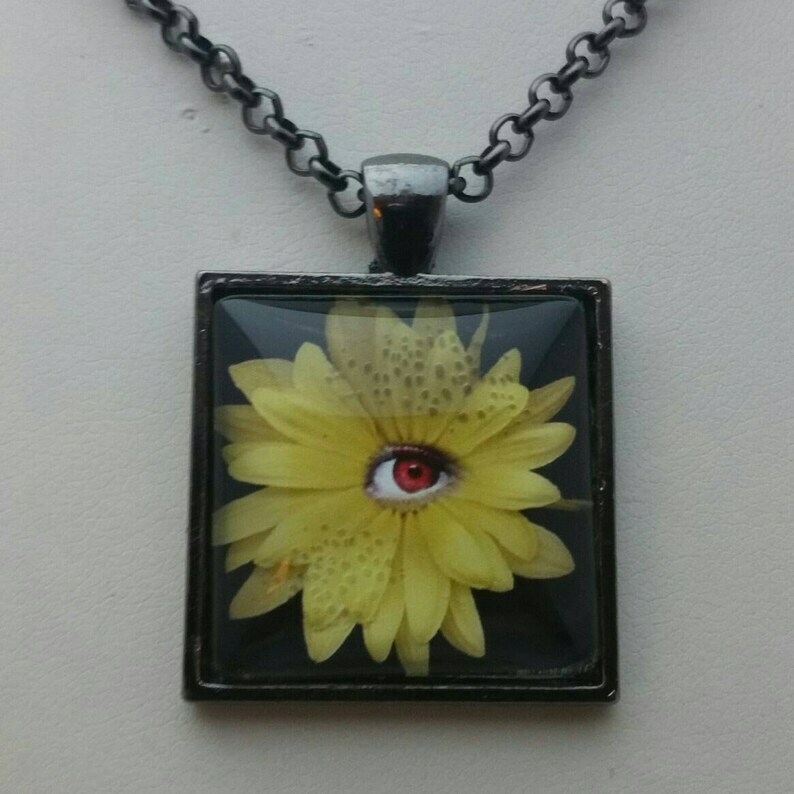 This whimsical jewelry Steampunk Pendant Necklace features a Yellow Flower around a fantasy eye with a Black background. It has a very dimensional look but make no mistake it is a digitized image. 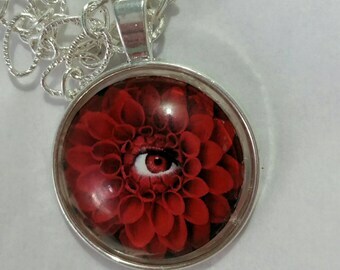 it is a 25mm Glass Dome with Digitized Image on Back covered with Plated Frame and large bale. 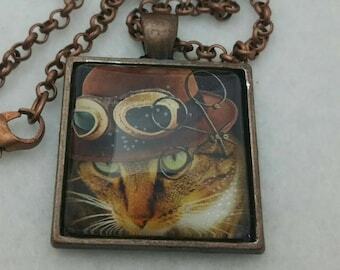 Your choice of Silver tone, Antique Copper or Gun Metal finish. Included is your choice of lengths Rolo Necklace with a lobster clasp. Great look for the male or female enthusiast. 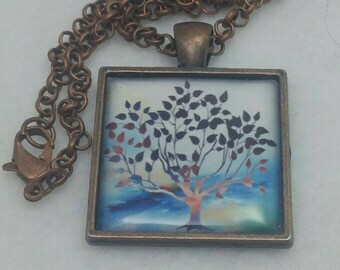 Pendant is water resistant but not water proof. do no wear in pool, tub or shower. 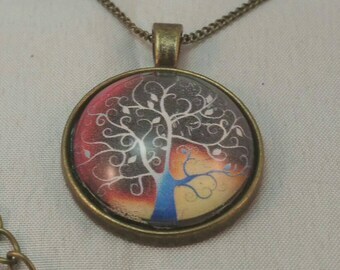 Each pendant is Handcrafted in our Studio in Tucson, AZ.